Looking for events in Jacksonville Beach FL? Thanks to the incredible location and the amazing weather, Jacksonville Beach provides you with plenty of year-round fun. But if you’re looking for something to do specifically in the spring, the list below will help. Check out the list of spring events in Jacksonville Beach below and find a fun way to spend your time. Springing the Blues Festival is a popular spring event, and people come in from Orange Park and beyond to experience the fun. Held at the Seawalk Pavilion, this 3-day blues festival delivers music, food, vendors, a Ferris Wheel, and so much more. It’s kid friendly, so if you’re looking for something fun to do with the children, this event could be it. There are many Jacksonville Beach Florida upcoming events, and the Jax Beach Vintage Flea Market is one of them. If you’re looking for a fun way to spend your time, or if you’re interested in finding items marked way down from their original price, then this flea market is for you. You can find just about anything while here, so be sure to bring a list (and a car with good cargo space). After exploring the best beaches in Ponte Vedra, check out the Spring Arts Market. This family-friendly event showcases local artists from the Jacksonville and surrounding Ponte Vedra area. Plus, it’s free and open to the public, so it’s a way to get out of the house and enjoy something fun with the whole family without a hefty price tag. If you’re interested in science, the Jacksonville Science Festival is a great opportunity to celebrate education with the Jacksonville community. While you’re here, you will explore interesting projects and learn from students, teachers, and local experts. 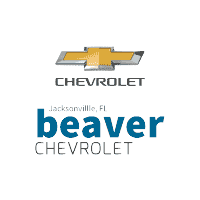 When you’re looking for spring events in Jacksonville or the surrounding Jacksonville Beach area, let the team at Beaver Chevrolet help you find them. And if you’re looking for the best things to do at the Jacksonville Zoo, we can help you find those too. Contact us today to learn more.